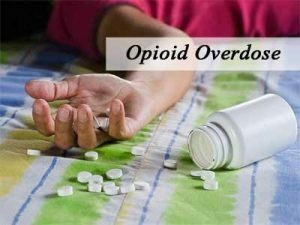 New York : Scientists at The Scripps Research Institute (TSRI) in the US have developed a vaccine that appears to decrease the risk of fatal opioid overdose. The vaccine blocks the pain-numbing effects of the opioid drugs oxycodone (oxy) and hydrocodone (hydro) in animal models, said the study published online in the journal ACS Chemical Biology. “We saw both blunting of the drug’s effects and, remarkably, prevention of drug lethality,” said Kim Janda, Professor of Chemistry at TSRI. “The protection against overdose death was unforeseen but clearly of enormous potential clinical benefit,” Janda added. The new oxy/hydro vaccine takes advantage of the immune system’s ability to recognize, seek out and neutralise invaders. Opioids were designed to reach receptors in the brain, causing pain reduction and feelings of euphoria. For their vaccine, the researchers combined a signature opioid structure with a molecule to trigger an immune response. When injected, the vaccine teaches the immune system to bind to the drug molecule and remove it from circulation. The vaccine-derived antibodies were tailored by the scientists to seek out the prescription drug and block the opioid from reaching the brain, potentially depriving a person of the “reward” of consuming the drug, Janda explained. In further tests, the rodents also appeared less susceptible to fatal overdose. Although it was found that some vaccinated mice did succumb to the opioid drug’s toxic effects, the researchers noted that it took much longer for the drug to impart its toxicity. If this effect holds true in humans, the vaccine could extend the window of time for clinical assistance if overdose occurs. “The vaccine approach stops the drug before it even gets to the brain,” study co-author Cody Wenthur, a research associate in the Janda laboratory, said.